Carl Story was a pioneer, who helped create the bluegrass gospel sound. His recordings on Mercury Records in the 1940s inspired countless current and future bluegrass stars like Jim and Jesse, Bill Monroe, Reno and Smiley, and Flatt and Scruggs. One of the highlights of Carl's career involved my radio station, WANY in Albany, and WFLW in Monticello. In early 1957, Carl and his band stopped in Monticello for a show. His soon-to-be-wife, Helen Guffey, was a teenager growing up in Wayne County and loved his music so much that she went to the show. She met Carl that night. Little did she know what lay ahead. Along with singing bluegrass gospel, Carl also worked in radio. It helped support his habit and gave him a chance to promote his own music. In the fall of 1957, Carl returned to Monticello and was hired as a disc jockey for WFLW. He re-met Helen and they started dating. Less than a year later, Mercury Records released the very first bluegrass gospel album ever: "Gospel Quartet Favorites" by Carl Story, which contained timeless classics like There's A Light At The River, Family Reunion and My Lord Keeps a Record, all of which exemplified Story’s raw-edged, “mountain style” of bluegrass singing defined by his distinctive high baritone harmony part. Following the album's release, Carl and Helen were married. The date was July 17, 1959. They moved to South Carolina but returned to Monticello in November of 1960, where Carl began a second tenure at WFLW. He was hired as a disc jockey at WANY in the spring of 1961 and worked there until the fall of that same year. Obviously, though, his destiny was not in this area. His music career was on a fast-moving train. In that same year he worked at WANY, his new label, Starday Records in Nashville, released four new albums by Carl Story and the Rambling Mountaineers. Soon, it was time for Carl to leave this area for good in order to move on to what lay ahead: "The Father of Bluegrass Gospel." Carl Story's career as an entertainer spanned more than six decades, beginning in 1934, when he formed his first band, and lasting until his death on March 31, 1995. Along the way, the Father of Bluegrass recorded over 2,000 songs, and is credited with influencing urban artists during the folk music boom when bluegrass records were scarce. 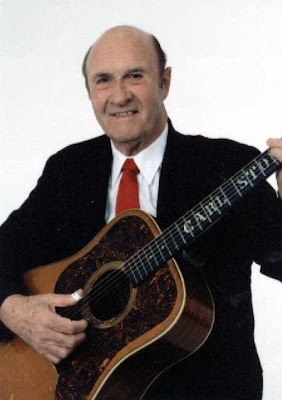 Carl Story was inducted into Bill Monroe's Bluegrass Hall of Fame in 1984, the Society for the Preservation of Bluegrass Music of America in 1988 and the International Bluegrass Music Hall of Honor in 2007. 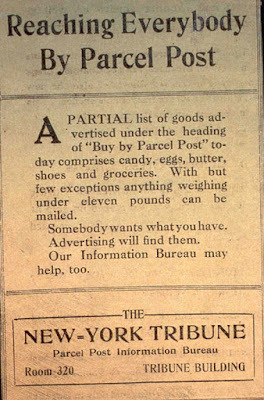 A friend, Steve Lawson, found the above letter on e-bay. It was written by Carl Story on WANY letterhead to Jim Reeves and dated September 15, 1961. I bought it for $25. The seller was Connie Sanders from Warren, Ohio, who is a Jim Reeves fan and operates an e-bay business. Sanders said she was living in Tennessee in 1996, when the Jim Reeves estate was sold to United Shows of America. The amusement company's chairman, Ed Gregory, was later accused in Nashville, Tennessee probate court of conspiring to commit fraud in the purchase of the Reeves estate. Several years ago, the New York Times broke the story that Gregory and his wife had been the recipients of a discreet pardon by President Bill Clinton in March of 1999. The Gregorys had been convicted of bank fraud. 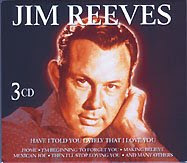 Gregory eventually went bankrupt and in 2003, there was a series of auctions to sell the Jim Reeves estate to pay the creditors. Sanders attended several of the auctions and bought a lot of paperwork and some other items. She said she was surprised that after all of these years, the office correspondence survived, but it appears that Mary Reeves kept everything! Sanders said it had been an interesting journey for her, and that she was glad to hear that this particular letter is going back home." Indeed, after 47 years the letter dated September 15, 1961 has found its way back home. I was always told that Carl Story had worked at WANY, but this is the first actual piece of evidence I have seen that proves it. It is a very unique part of the history of WANY, which is celebrating its 50th anniversary in 2008. It blows my mind that the Father of Bluegrass Gospel once sat where I've sat for the past 32 years and announced on the air. Something else that gets me: I can't help but wonder if he might have written one of his classic songs while driving to work at WANY, or better yet, that the words to one of his songs actually came to him one day while he was on the air here, sitting in the very same spot I now sit. 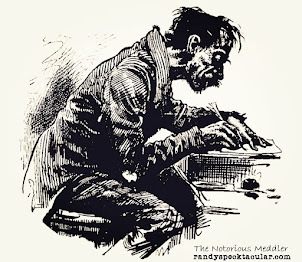 He wrote such hits as Light At The River, I Wouldn't Miss It Would You, and If You Don't Love Your Neighbor (Then You Don't Love God) Yes, that definitely blows my mind. Note: Carl's leaving WFLW for good in 1961, eventually led to the hiring of long-time broadcaster Eddie Neal. He is now in his 47th year of broadcasting for WFLW.